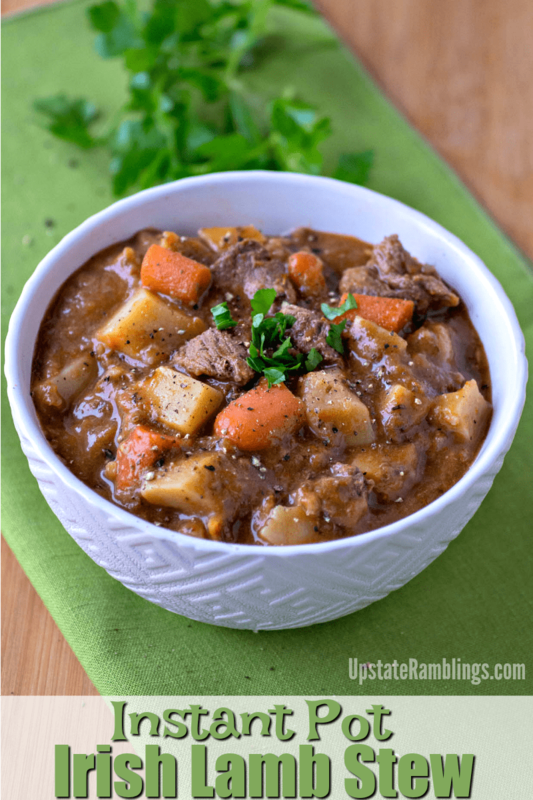 This Instant Pot Lamb Stew is an easy Irish Dish perfect for St. Patrick’s Day dinner. 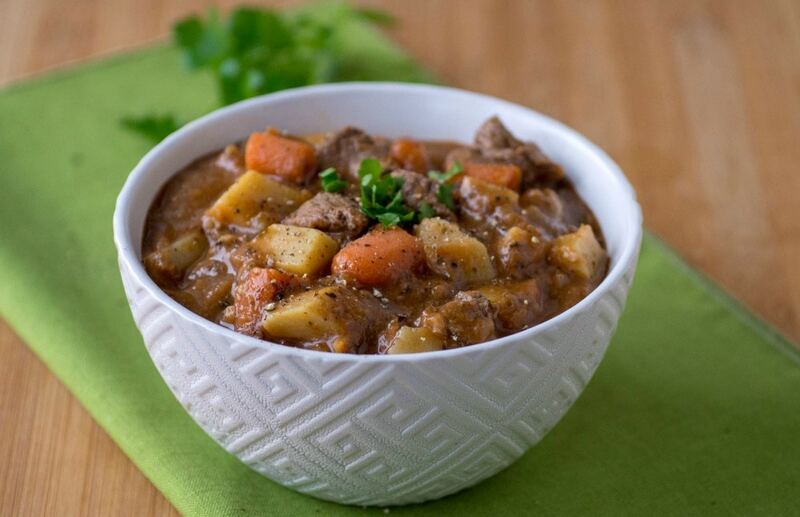 March is the perfect time for Irish recipes, and this Instant Pot Lamb Stew recipe is a delicious St. Patrick’s Day main dish. 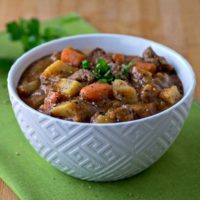 I have posted a recipe for Irish Lamb Stew on my blog before, but this year I wanted to make the stew in my Instant Pot. 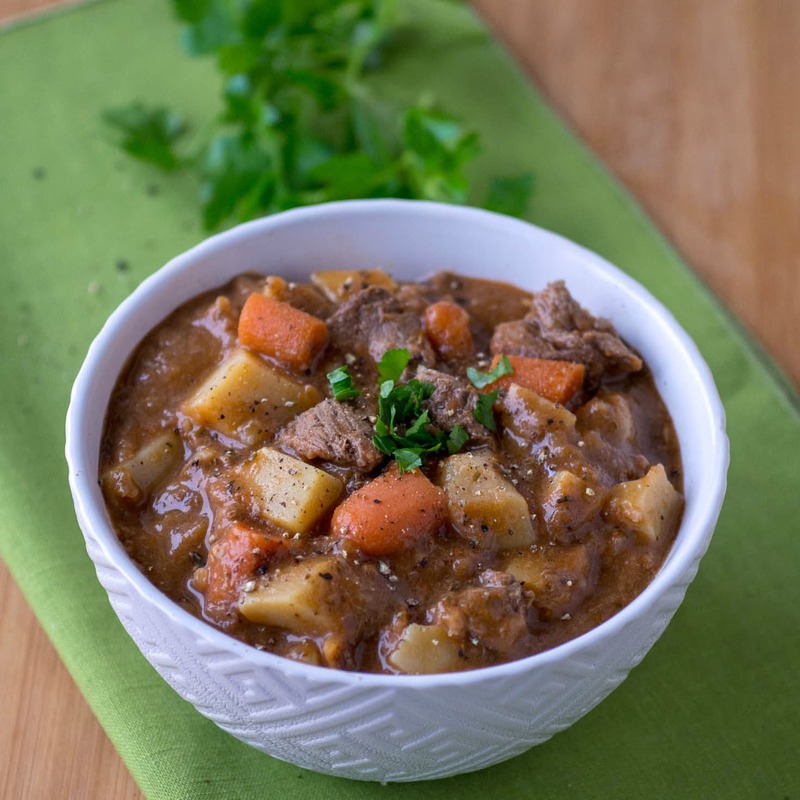 This recipe is pretty similar, just modified to use the pressure cooker, which means that I don’t have to simmer the stew for as long to get the lamb stew meat tender and tasty. By using the pressure cooker I can have a rich Irish Stew ready in less than an hour. 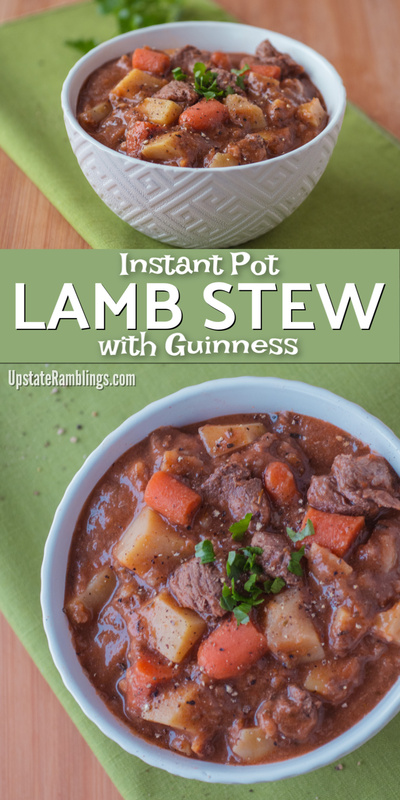 To really make the stew perfect for St. Patrick’s Day I used Guinness Stout in the broth. The Guinness is rich and gives the stew an unmistakable flavor that complements the lamb. How do I avoid mushy vegetables in my stew? One thing my family and I don’t like is when the vegetables in our stew are mushy and fall apart! 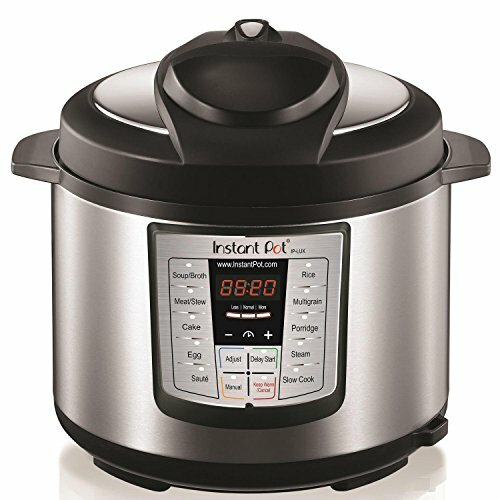 So to avoid that so for this recipe I bring the Instant Pot up to pressure twice – first to cook the meat and then to cook the vegetables. You could add the potatoes and carrots at the beginning and only bring the pressure cooker up to pressure once. It would still taste good but the texture would be a little different and the vegetables’ texture would not be as firm, so I prefer to take a little more time and not overcook the vegetables. 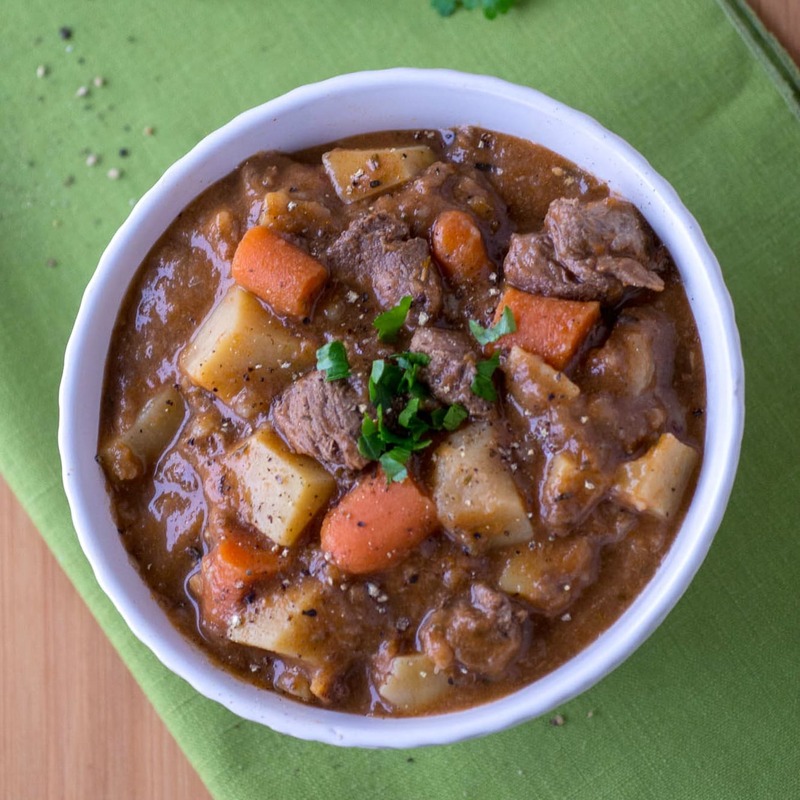 This Instant Pot Lamb Stew is an easy Irish Dish perfect for St. Patrick's Day dinner. Set the Instant Pot on saute and let it heat up. Put the oil in the Instant Pot and brown the lamb cubes on all sides in the oil. After the lamb is browned add the flour, onion, thyme, rosemary, Guinness, tomato paste, broth, Dijon mustard, along with salt and pepper. Stir to mix. 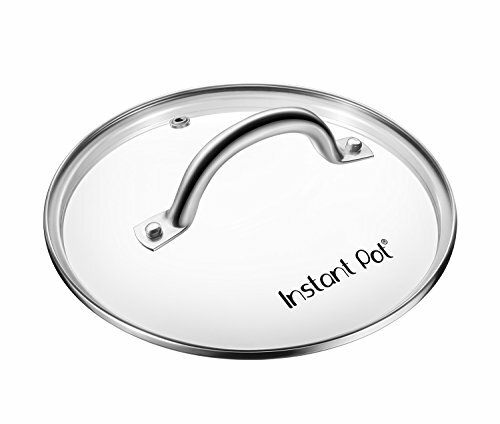 Put the lid on the Instant Pot and lock the lid. Switch it to the Stew/Meat setting and program it for 20 minutes. While the stew cooks peel and dice the potatoes and the carrots. When the 20 minutes is done release the steam using the quick release. Add the potatoes and carrots, and lock the lid back on the Instant Pot. Set it to the manual setting and program it for 10 minutes. Once the 10 minutes are up use either the quick release or natural release, depending on how soon you want to serve dinner. If you use frozen lamb increase the initial pressure cooking time to 30 minutes. You can substitute broth or another type of beer for the Guinness if you don’t have any on hand. Thank you so much for this wonderful recipe I followed but did put the flour with the meat when browning and added a celery stalk. This is the first thing I’ve made in my Instant Pot. Easy and delicious! I will definitely make this again. I am very upset. I made this recipe for 8. It said to use 4 cups of chicken broth and 2 cups of Guinness. Not only do I now have soup, it was a complete waste of good Guinness! I checked 4 times to make sure the recipe included the broth. Perhaps you will want to check your recipe/directions. If these are NOT the correct values for doubling the recipe, a correction would be greatly appreciated. I am glad I used beef instead of 2 lbs of lamb. I have never written a review on anything like this before, but people should be warned to not follow directions, but go with their gut. This is for a gathering, not just family. My deepest apologies. I’m eating humble pie along with my stew. I realized that I had used a gluten-free flour mix which may have caused a problem with the thickening. I am using a different flour to make gravy and hopefully rectify the situation. I should have not written the review until everything was done. The flavor is good. Delicious! Easy. It’s all the things I like about a recipe. I’m making it again for a crowd. Yum! Although, I think I used sherry the first time I made it, and I just used red wine for the second round. Still great! I don’t care much for Guinness, so I didn’t put it in.